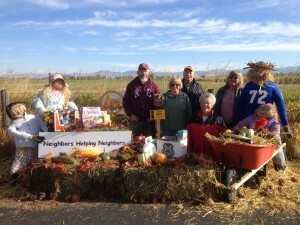 This program is run entirely by volunteers. 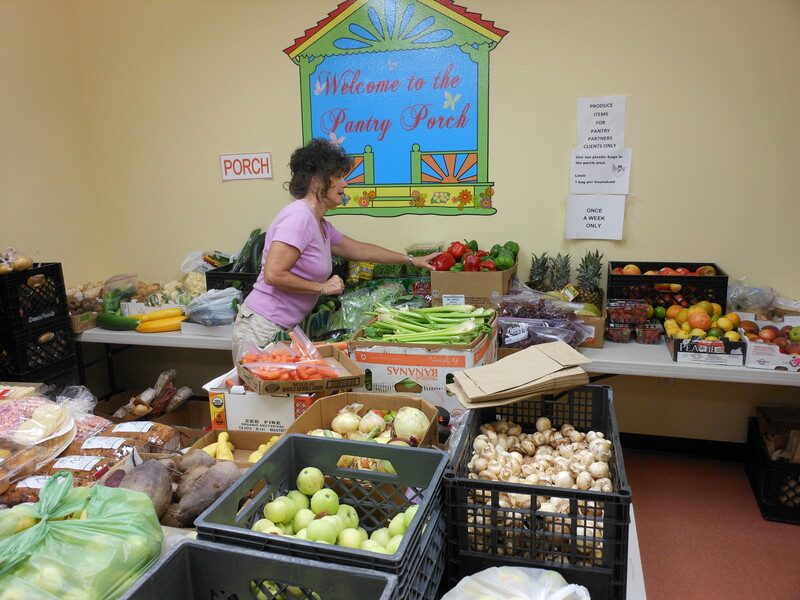 Every month, 30-40 volunteers stock the shelves, glean donations from local grocery stores, pick up ordered groceries from stores, check in clients and update computer records, fill boxes for clients, and work the porch. We work as a team, with everyone cross trained as much as possible. This is a very happy place to work! Would you like to help? Please contact our Manager, Dawn, at (406) 360-4637, or stop by the Pantry on Monday, Wednesday or Friday from 11-2 to complete a volunteer application. Office Workers: Check in clients.You must like to work with people, have a ready smile, and be able to meticulously and confidentially work with records and clients. A few office workers help to maintain client and donation records on the computer. Box Fillers and Porch Workers: This job involves taking things off the shelves and creating boxes or bags of groceries for clients. You must be able to lift 10-15 pounds, like to work with people, have a ready smile and have good hearing. Stockroom workers: This job involves stocking shelves, taking in and putting away donations, re-bagging flour, sugar, coffee… You should be able to lift 20-25 pounds and be prepared to occasionally work with the public when you receive donations. Gleaners: This job involves going to local grocery stores and picking up donations and ordered foods on a periodic basis and delivering them to the Pantry. You must have a truck or a large SUV and be able to lift 35-40 pounds. Mileage is tax deductible. 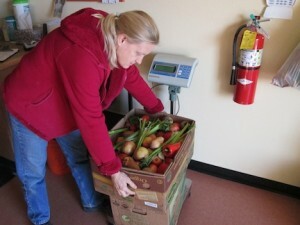 The gleaner is weighing the produce before sorting it. 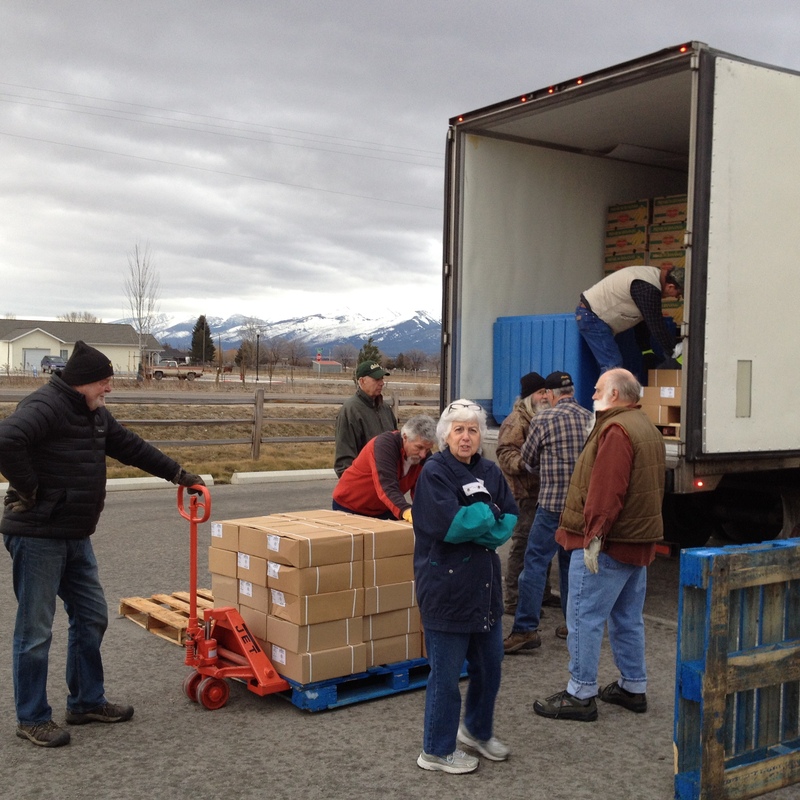 Montana Food Bank Network Delivery Workers: This job involves helping unload the MFBN truck every 6 weeks (usually on a Tuesday morning). You should be able to lift 25-30 pounds. Cardboard Recycler: This job involves picking up our cardboard every two weeks and delivering it to Pacific Recycling in Missoula. A large SUV or truck is needed. Mileage is tax deductible. Gardeners: This job involves helping helping to maintain the Pantry landscaping. This includes chores like weeding and trimming shrubs. We contract out mowing and snowplowing. 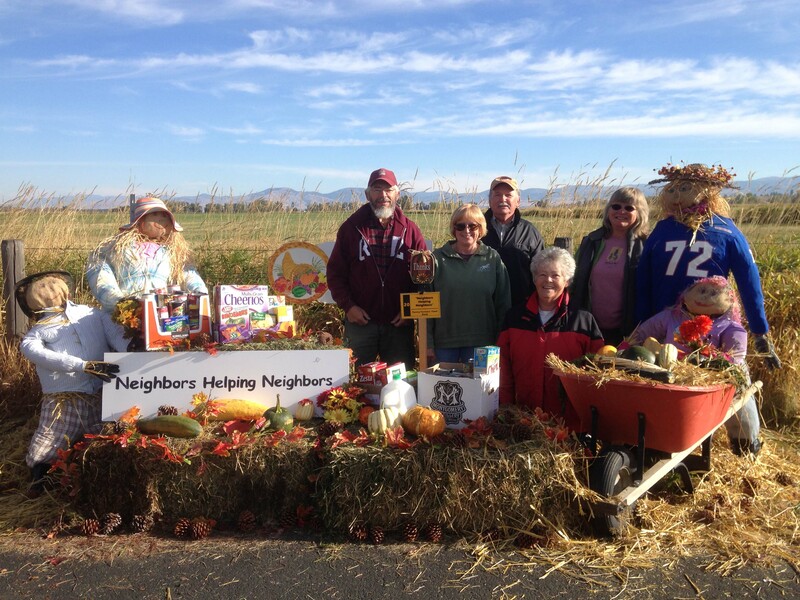 Our volunteers are also active in community events, like the Creamery Picnic and the Scarecrow Festival.